Although inhumane incarceration of youth in adult facilities is prohibited worldwide, these practices remain abundant. Since 2000, only three countries resorted to capital punishment for those offenders who committed crimes before reaching the age of 18. Millions of children throughout the world are held in jails, prisons and detention centers. Many are brought to trial and sentenced in ways that violate their human rights, and also international principles that recognize the deprivation of liberty to be a measure of last resort for children. In some countries children are put to death for their crimes, with judicial systems ignoring the value of a child’s life. The reasons for the incarceration of children in conflict with the law vary not only from country to country but from jurisdiction to jurisdiction within a country. Children who commit crimes from petty theft to murder often face harsh sentences and incarceration in adult systems rather than traditional youth justice practices such as rehabilitation, counseling, and restorative justice programs. It is common practice in some countries, for children convicted of non-violent property offenses (such as arson or theft) to face sanctions and imprisonment that may deprive them of their freedom for a long time. Moreover, in some countries, children are jailed on false charges or no charges at all. In Kenya for example, street children are routinely picked up individually by police or rounded up in groups, assaulted and arrested “for no reason other than the fact that they are homeless or because a theft has occurred in the area.” In Palestine and some other countries, children are put in jail to prevent their participation in political demonstrations and movements. During war, child soldiers and civilian children accused of committing war crimes are often incarcerated and even executed along with adult soldiers. Children seeking asylum or immigrating illegally may also be arrested and held in detention for months or years. Unaccompanied immigrant children detained at borders in the United States , Australia , Hong Kong , Japan and Great Britain are routinely placed indefinitely in detention centers or prisons that also house adults convicted of criminal offenses. Finally, in some countries, children can be incarcerated for committing non-criminal “status offenses,” or when their parents are unwilling or unable to control or take care of them. A number of societal factors contribute to the development of delinquent behavior in children. Left-behind children, runaway and street children, and children living in poverty are at the greatest risk. Other specific risk factors are child abuse and family disintegration, low neighborhood attachment, parental attitudes condoning law-violating behavior, academic failure, truancy, school drop-out, and antisocial behaviors early on in life. Some countries, for example, the United States, experienced an increase in youth crime in the early 1990s. Due to this increase, a number of laws were enacted in response, creating a system with super-predator laws. With this new system, youth were automatically transferred to adult court systems, judges had little discretion due to mandatory sentencing laws, and the basic rehabilitative principles of the U.S. juvenile system were left to the past. There is also clear and statistically proven evidence of racial and socioeconomic bias in police arrests of juveniles. African Americans, for example, make up only 15% of all US youth between the ages 10 and 17, yet they comprise 30% of youth arrested from that age group, and 50% of the juvenile cases transferred to the criminal court. The latter occurs mainly due to the double standard evident in the court system that often gives offenders belonging to an ethnic minority more severe sentences for the similar crime in comparison to whites. In the US nearly two thirds of all child offenders sitting on death row are ethnic or racial minorities; 75% of youthful offenders executed in the United States since 1900 were African American. Execution of youthful offenders is prohibited almost everywhere in the world. Since 2000 only three countries resorted to capital punishment for those offenders who committed crimes before reaching the age of 18: The Democratic Republic of Congo, Iran and the United States . The United States is the world leader in execution of youthful offenders. Due to the many years it takes to process appeals in the United States , juvenile offenders are sometimes in their twenties or even thirties by the time the executions take place. Nevertheless, between 1990 and January 2000, the U.S. executed more juvenile offenders (11) than the rest of the world’s nations combined (9). The U.S. Juvenile Justice System in general, seems to favor incarceration and punishment over rehabilitation and treatment when dealing with juvenile offenders. With social workers replaced by lawyers, juvenile courts increasingly have taken on the character of the adult criminal court system, violating international standards. In many cases children in the US are detained and incarcerated following conviction when other options such as counseling, rehabilitation, and restorative justice programs are available. Incarceration of young offenders in most cases proves to be actually more hazardous than beneficial. It often results in grave psychological trauma and deteriorating emotional and physical health of the detained youth, which makes their successful reintegration back into society even more difficult and unlikely. Children in conflict with the law who are not given proper counseling and rehabilitation programs often find reintegration to society difficult and face high rates of return to the prison system. Often held with adults, children in confinement are subject to extreme violence and sexual abuse at the hands of guards and other detainees. In Pakistani prisons for example, young detainees are routinely subjected to various forms of torture or ill-treatment, including being beaten, hung upside down, or whipped. This violence is not a problem that exists only in the developing world. Youth detained with adults in the United States often face similar abuses. Children in detention are frequently denied adequate food, medical and mental health care, and access to basic sanitary services. They are often held in the overcrowded and unequipped facilities where they contract and develop different diseases, including chronic diarrhea, skin disorders, severe dental decay and various respiratory illnesses. Lack of educational opportunities is another serious problem facing children in conflict with the law. In Russian prisons for example, there were registered cases of children as old as 14 who were unable to read or write. In Pakistan , the education of juvenile offenders is mostly limited to religious studies. As a result, incarcerated children are on the whole not ready for the challenges of socialization and employment in the free society, and often return to the life of crime. Although many international treaties  seek to prohibit the inhumane incarceration of youth in adult facilities, these practices are abundant throughout the world. Young offenders continue to be treated and prosecuted as adults, contradicting the broadly accepted and scientifically proven idea that children under the age of 18 do not have fully developed reasoning faculties and therefore cannot be held to the same social standards as adults. Less money is spent on the delinquency prevention programs as well as on rehabilitation programs for the abused and neglected children; meanwhile more youth are incarcerated each year and more correctional facilities are built. Children in the world are still being sentenced to death and executed, even though a number of universally agreed upon treaties condemn the practice. Article 37 of the Convention on the Rights of the Child states that “Neither capital punishment or life imprisonment without the possibility of release shall be imposed for offences committed by persons below eighteen years of age.” Also, the United Nations Civil and Political Rights Covenant declares that “sentence of death shall not be imposed for crimes committed by persons below eighteen years of age…”. You can help stop the “cruel and unusual” practices  that are tragic everyday reality for millions of incarcerated children by educating yourself and spreading the concern to other groups of people. You can join different campaigns that protest the use of the death penalty on children, and address national and international judicial bodies or important political figures about the unjustified use of capital punishment and other urgent juvenile justice issues. 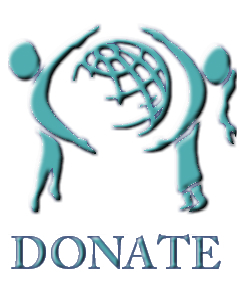 You can also support organizations like Youth Advocate Program International that work to protect the basic rights of all children throughout the world. “ Children behind bars: youth who are detained, incarcerated and executed,” Youth Advocate Program International, p. 2. ‘Juvenile Justice: Police Abuse and Detention of Street Children in Kenya ‘ , Human Rights Watch. : p. 37 In Rwanda, over 1,000 children were held in detention in 1997 on suspicion of committing acts of genocide in the country’s bloody civil war, which began in 1994 (YAPI) ‘Children behind bars: youth who are detained, incarcerated and executed’ , YAPI. : p. 4 A status offence is an act committed by a child that would not be an infraction of the law if done by an adult. For example, skipping school, or running away from home may be regarded as status offence. ‘Can Prevention Programs stem the Tide Of Delinquency? Are we penny wise and pound foolish? ‘ , S. Wilber ‘Children behind bars: youth who are detained, incarcerated and executed’ , YAPI. : p. 15 Amnesty International ‘The death penalty for teens’ , Nancy Day, : p. 36 The two major international documents that prohibit the execution of juvenile offenders are Among many modern human rights treaties and conventions ‘The death penalty for teens’ , : p. 21 Human Rights Watch ‘Children in Russian Prison Camps 2003 ‘, IRR/TV (International Russian Radio and Television) report; (http://www.irrtv.org) CRC, International Covenant on Civil and Political Rights, U.N. Standard Minimum Rules for the Administration of Juvenile Justice (the Beijing Rules), and U.N. Rules for the Protection of Juveniles deprived of their Liberty are among the major documents stipulating the international standards of Juvenile Justice. Convention on the Rights of the Child, Article 37. United Nations Civil and Political Rights Covenant, Article 6. Adam Caine Ortiz, American Bar Association Criminal Justice Magazine, Winter 2003, Volume 17, Number 4.